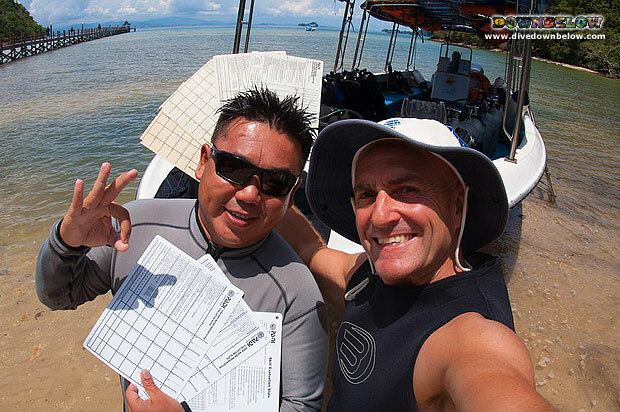 Downbelow’s May PADI IDC gets a little bit special as IDC graduate Vui How has enrolled for the IDC Staff Instructor Course. Vui How completed the PADI IDC course with Downbelow back in May 2013. The IDC Staff Instructor course is conducted simultaneously with the PADI IDC where Vui How will learn, observe and assist in conducting and organizing the IDC courses, the same tasks that he is qualified to do once he completes the course. He will also be qualified to independently teach the PADI Assistant Instructor courses as well as teach on the PADI Instructor Development Course. Welcome back Vui How. Lets have fun while learning again! Are you a dive instructor? Do you want to be directly involved in bringing up the next generation of PADI instructors? If you do, then drop us an email today to sign up for the PADI IDC Staff Instructor.